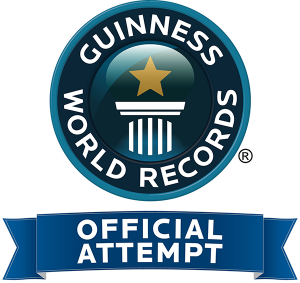 On Saturday 27 April, Mohegan Sun will be attempting two Guinness world records, the “Largest Slot Tournament” and the “Most Slot Machines Running the Same Game Simultaneously”. It is estimated that over 5,000 people will be taking part in the event. This week it was announced by Bally Technologies that their iView Display Manager and Elite Bonusing Suite will be powering the record breaking attempt. The tournament will include two heats, at 9am and 10am, across Mohegan Sun’s three casinos, Casino of the Earth, Casino of the Sky and Casino of the Wind. The top 200 winners will receive prices out of a prize pool of $100,000 and the first place winner will take home $50,000 cash. The President and CEO of Bally Technologies, Ramesh Srinivasan said, “The GUINNESS WORLD RECORDS events showcase our ability to deliver a tremendous return-on-investment to our casino partners.